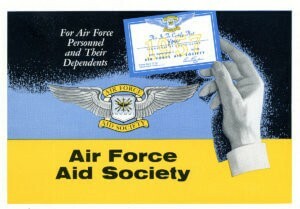 Today, Air Force Aid Society is probably best known for the emergency financial assistance we provide to U.S. Air Force members and their families to help them navigate short-term financial stresses. 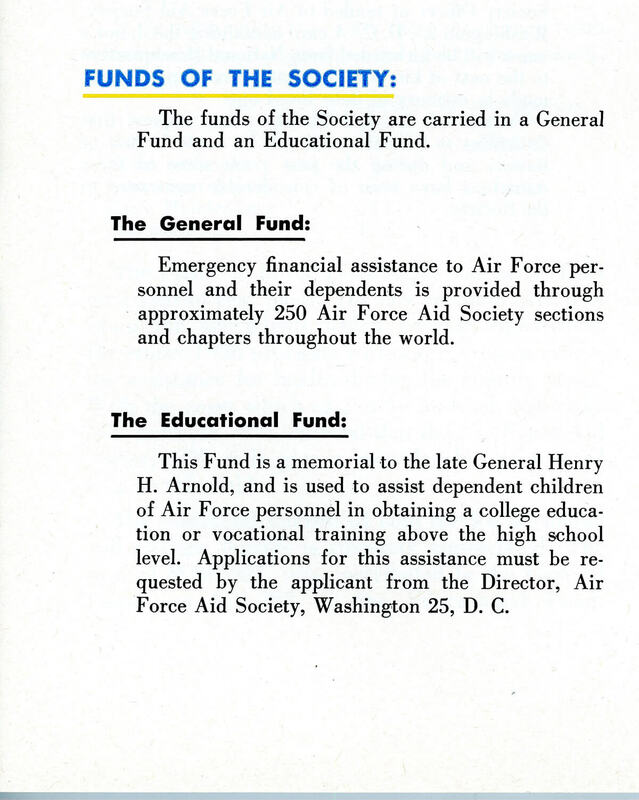 However, education support for the children of WWII era Airmen was the first mission priority of AFAS. 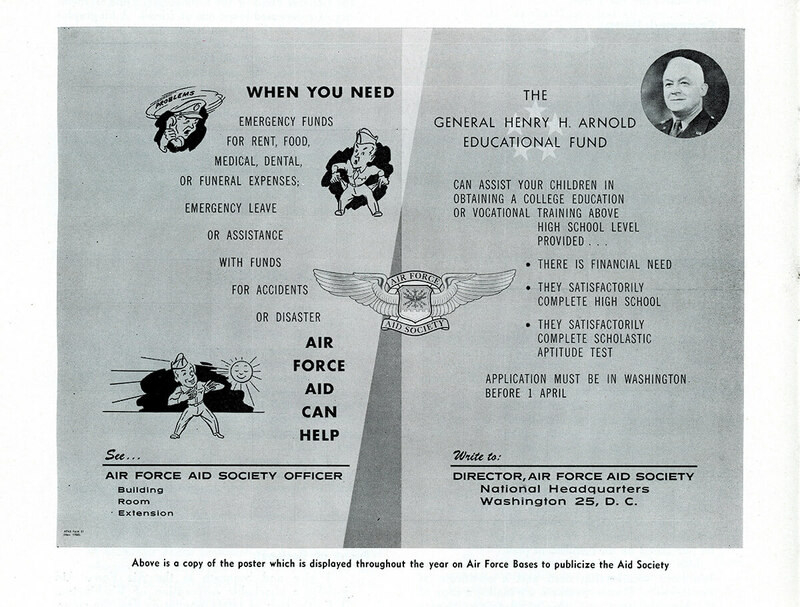 Since our founding by General Henry “Hap” Arnold and his wife, Bee, the Society has been dedicated to helping dependents of eligible Airmen achieve higher education goals. 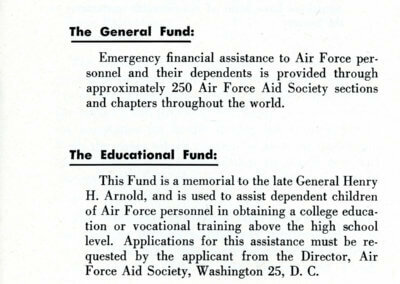 Shortly after AFAS came to exist, General Hap Arnold and General Carl “Tooey” Spaatz were instrumental in the creation of an Air Force Aid Society Education Fund. This fund has allowed the Society to provide substantial education support throughout the years. 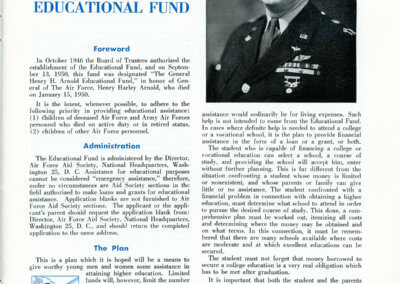 Between 1945 and 1979, AFAS provided more than $31 million in education loan assistance to around 19,000 Air Force families. 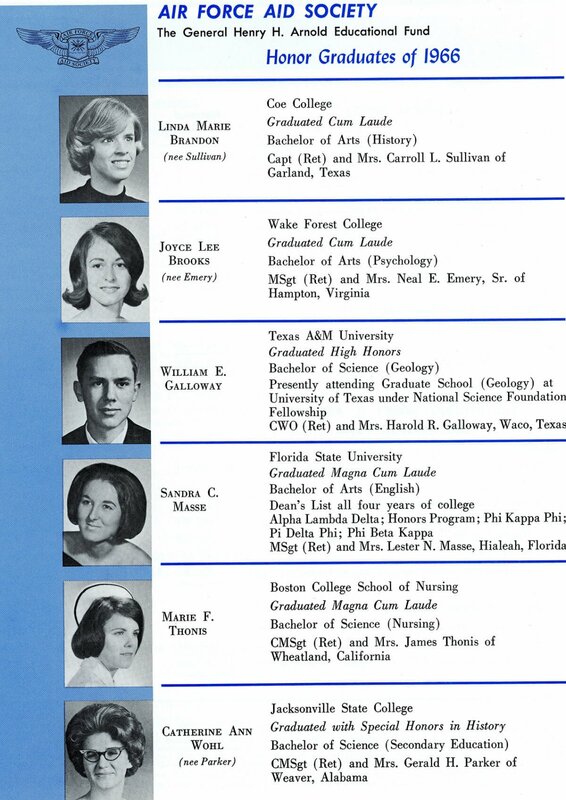 In 1979, the Society phased out its internally managed loan program in an effort to broaden access to education assistance through the Department of Education’s Guaranteed Student/Parent Loan programs. Initially of great benefit to Air Force families, increasingly restrictive needs tests diminished the value of these programs. AFAS renewed its original mission commitment to education support in 1988 by launching the first of its own grant and loan programs. 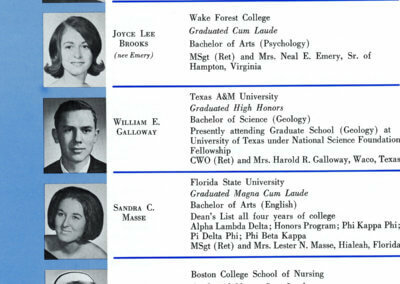 These AFAS programs would eventually lead to a phase out of the Guaranteed Student/Parent Loans in 1993. Simultaneously, AFAS reenergized efforts to grow its long established Education Fund. 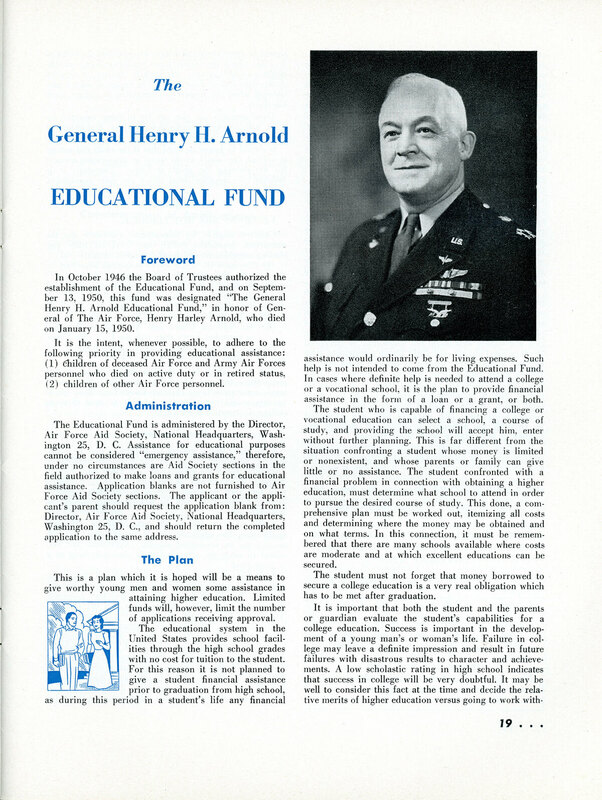 A revitalized and growing Air Force Aid Society Education Fund allowed the Society to create what is now considered the cornerstone of AFAS Education Support – the General Henry H. Arnold Education Grant Program. The Education Fund also sustains our AFAS Merit Scholarship and AFAS Supplemental Education Loan programs. Since our inception in 1942, AFAS has been committed to helping Air Force members and their families realize their academic goals. To this day, education support remains a vital part of the AFAS mission. The Air Force Aid Society Education Fund continues to thrive, allowing the Society to provide more than $6 million in education support annually. 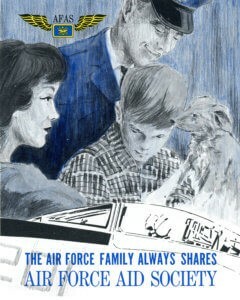 Learn how you can help the Air Force Aid Society Education Fund continue to thrive.